Purchase Online and Pick Up In Store! Alfred's Basic 5-String Banjo Method 1 continues the Alfred Music tradition of easy-to-use, thorough, and enjoyable instruction for the absolute beginner. The basics of right-hand picking are covered, including pinches, different kinds of rolls, and backup patterns. Basic left-hand techniques are introduced, including hammer-ons and slides, and chord diagrams are provided for both G-tuning and C-tuning. 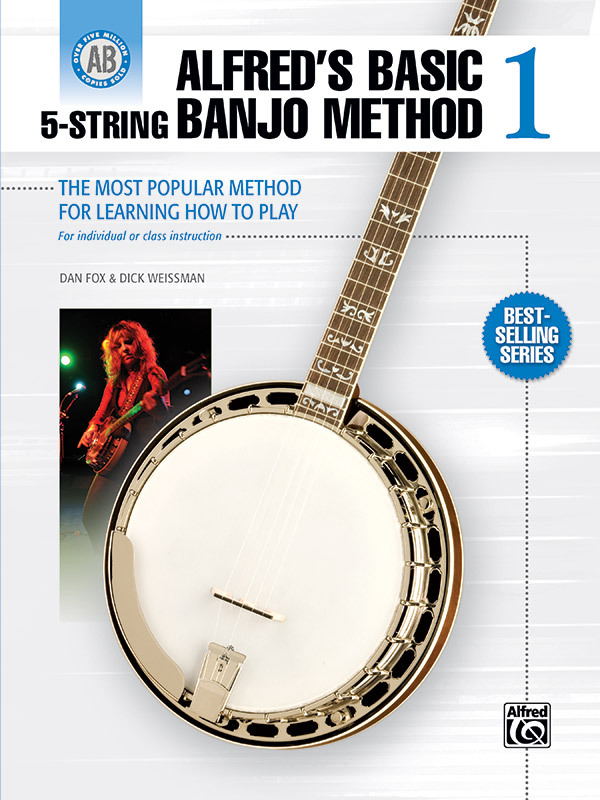 Important topics such as setting up the banjo, tuning, banjo heads, fingerpicks, strings, and capos are taught as well. Illustrations, diagrams, and photographs throughout the book make learning easy and fun. Learning to play has never been more fun than with Alfred's Basic 5-String Banjo Method 1---the best choice for today's beginning banjo students.